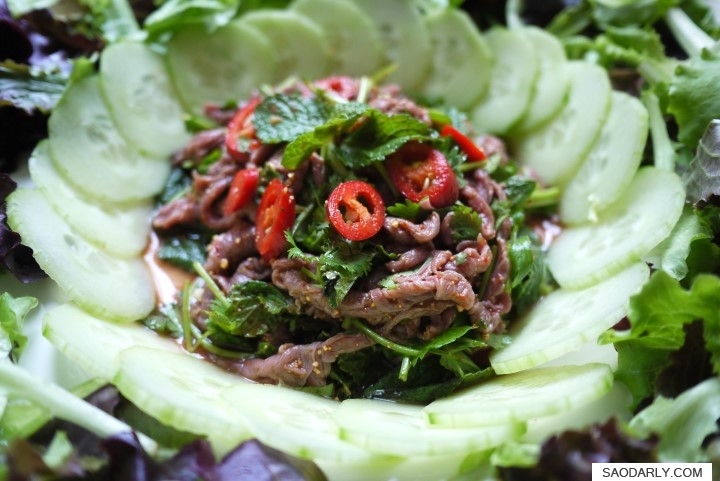 For those of you that like to eat red meat, this is a quick meal you can make by using beef carpaccio meat cut for the Larb. Just combine the thinly sliced meat with lime juice and fish sauce or fermented fish sauce (Padek), whether cooked or raw, depending on your taste in a mixing bowl. Then add crushed roasted sticky rice, crushed roasted chili pepper, and mixed well. The last step is to add sliced shallot, green onion, mint, coriander (cilantro) to the bowl, and stir all the ingredients together. 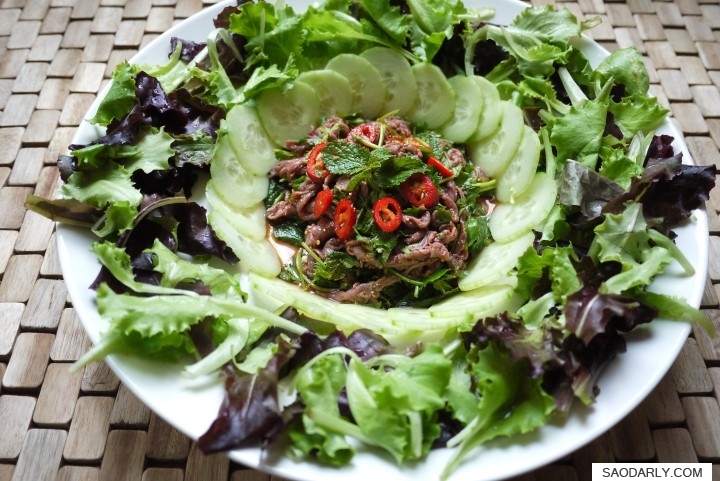 You can eat the Larb Beef with rice and vegetables of your choice or just serve as salad as the way presented above.